It is so easy for us at C.O.D. to get carried away with storage solutions that are a bit over the top. Although there are a few of you out there that get excited about 6 bay and 8 bay NAS, most of the people I know are more likely to look for a 2 bay or 4 bay solution for their home or small business. 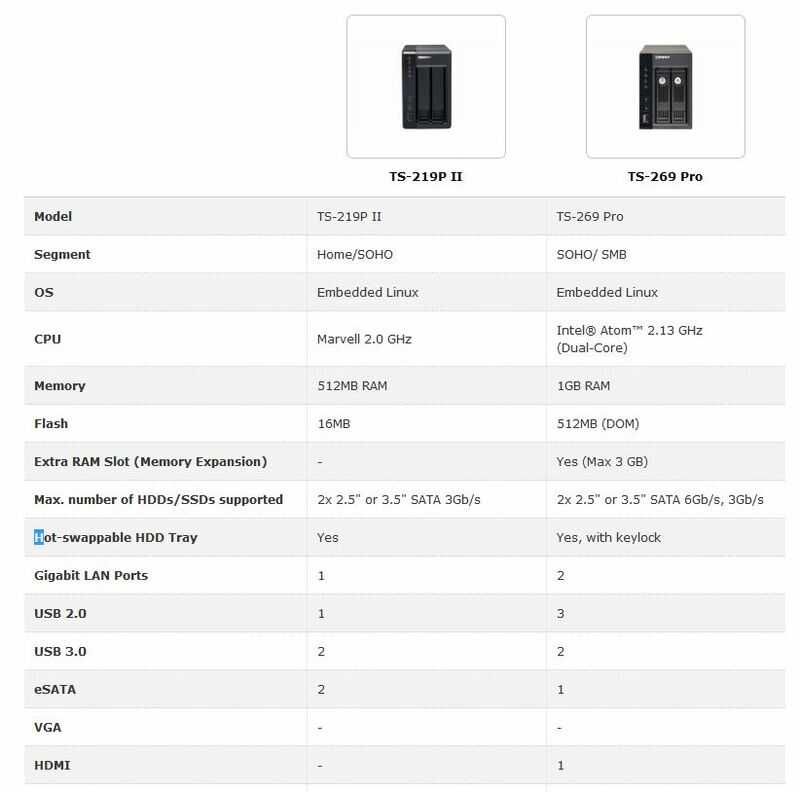 In an effort to fill the gap, QNAP has decided that we should take a look at their latest 2 bay NAS, the QNAP TS-269 PRO. QNAP packs FIPS 140-2 certified AES 256-bit volume based data encryption for those concerned about storing sensitive or confidential data. This type of encryption requires that a password or key is provided in order to access any of the data stored. Obtaining this level of encryption is no easy or cheap task for QNAP to accomplish. The testing and validation required to be certified is a necessary measure in order to have storage products sold to the Federal Government. Along with the security that encryption brings you, there still remains the ability to limit accessibility to the NAS based on IP filtering and user/group level access rights as well as policy based automatic IP blocking. The TS-269 PRO includes iSCSI support. 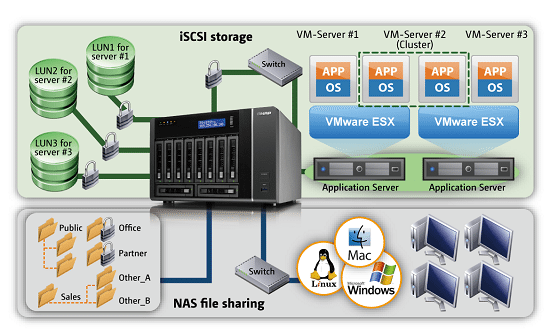 With iSCSI you can redistribute free space on your NAS volume to iSCSI for server virtualization or virtual disk drives on other Servers in your environment. QNAP’s implementation does not require that you destroy and rebuild your RAID array to migrate, change, delete, or reallocate your iSCSI preferences in the same ways that some other NAS manufacturers do. To keep you abreast of all things NAS, the firmware can notify you should anything go awry with your array. The QNAP TS-269 PRO can notify you via SMS, Windows Live Messenger, or email that something is wrong. The system can be monitored via SNMP, it supports S.M.A.R.T. and advanced hard drive health scanning, it features extensive logging (including banning IP addresses after failed login attempts) and more. Next Should You Defrag Your SSD? The TS-269 PRO has tons of features and speeds along. QNAP packs everything you can think of or want into their firmware delivering a very robust network appliance.